You are viewing mini cruises to Guernsey. Click here to see all 2019 and 2020 mini cruises. Head to the Channel Islands, where you may find warm weather and calm seas. Most mini cruises head to the Bailiwick of Guernsey. While not part of the United Kingdom, the island is a British Crown dependency. It boasts familiar high street brands, and although the island a localised version of Pounds and Pence, Sterling is accepted too. 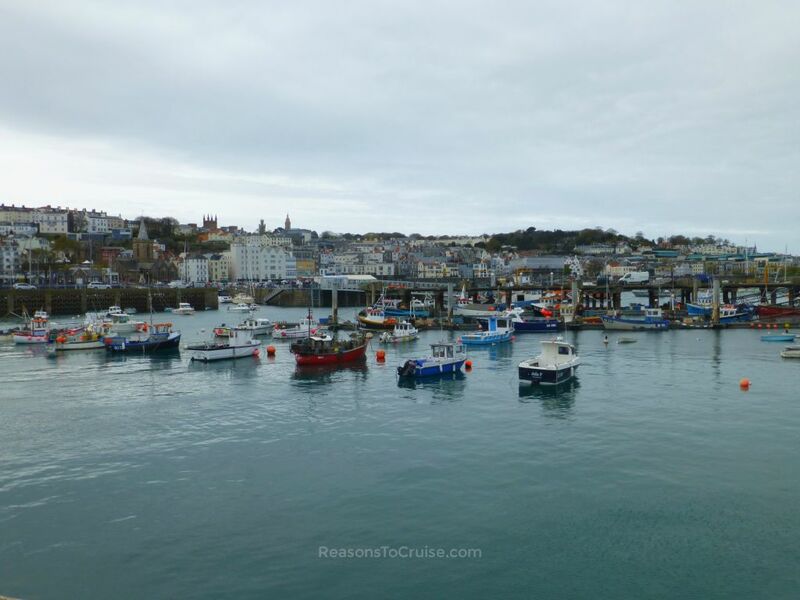 You will find a traditional seaside town feel in St Peter Port, the destination cruise ships use to tender passengers to and forth. Yachts jostle for pride of place in the marina and step off the promenade into quaint cobbled streets, lined with small independent shops as well as small outlets of big brand names. The little size of St Peter Port means cruise ships cannot dock, so instead rely on tender boats to ferry passengers back and forth. Tender boats typically hold small quantities of people, so expect queues to be lengthy.